When we got married five years ago, we really didn’t want to spend a fortune on the wedding. 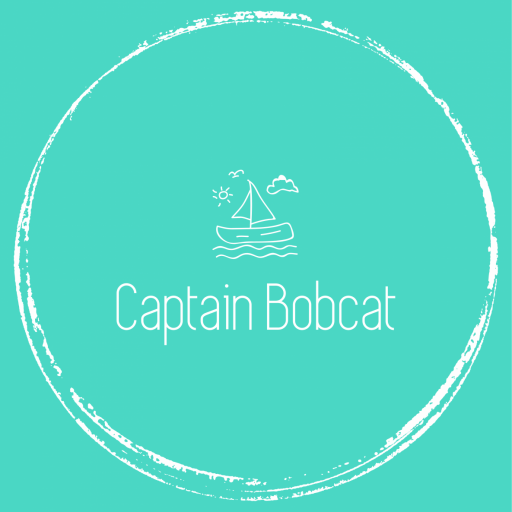 Not only because we had our little boy on the way and we thought we might as well spend that money on the nursery, the buggy, car seat and all the other things a newborn needs – but we also believed that it’s just simply not worth throwing so much money away. A good and successful wedding doesn’t have to cost the earth. It’s the people who matter, our friends and family and of course good food and drinks. There are things, however, a wedding can’t be without. Like the bridal dress, the cake, the invitations and of course the cute wedding favours. They all add up though and a wedding can cost tens of thousands of pounds. I don’t see the point of spending all that money, so let’s see where can a savvy couple save some money. 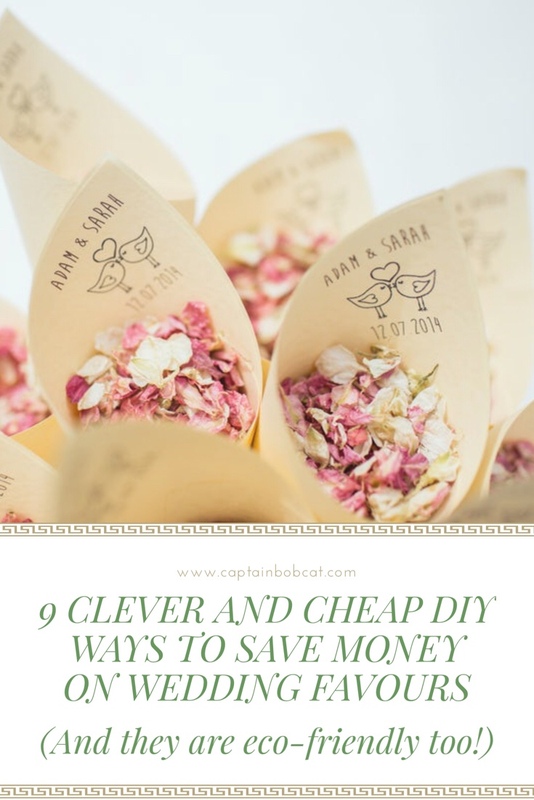 In this post I’ll share my favourite, clever and cheap wedding favour ideas, which you can easily DIY. 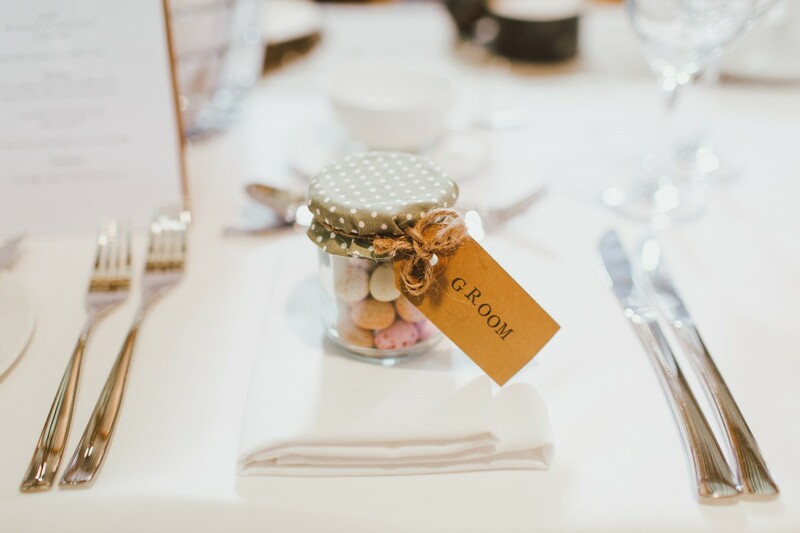 Handmade wedding favours are lovely and unique. And these are eco-friendly too! Save some mini jam jars or you can buy them too and fill them with a mixture of organic soy wax and different essential oils. Use lovely, light, summer scents for a summer wedding like orange, rose or jasmine. Some cosy winter scents for a winter wedding like bergamot, frankincense or pine. Make little bundles and fill them with a mix of seeds using colourful scrap textile pieces. Cut out a circular shape, put some seeds in the middle and secure it with ribbon or string. Just add a cutout note to make it personalised – use even your handwriting for a perfect personal touch. This is a great way to upcycle small and medium jars – because these favours don’t have to be the standard looking. In fact, the more variety, the better. Put your favourite childhood sweets into the jars. Cover the lid with scrap material and fasten it with a jute string. Use letter stamps or handwriting and add a personal thank you note to every guest. Use washed tomato and baked bean tins (or whatever you have) and carefully remove the paper labels. Clean them well, so they are lovely and shiny. Put some planting soil mix in to them and plant a bunch of herb or succulent. You can paint the tin if you wish to some cute pastel colour or wrap some lace around it. Or any other flower jam, like lavender for example. Fill small jars with the home made jam – again, there are plenty of recipes online. 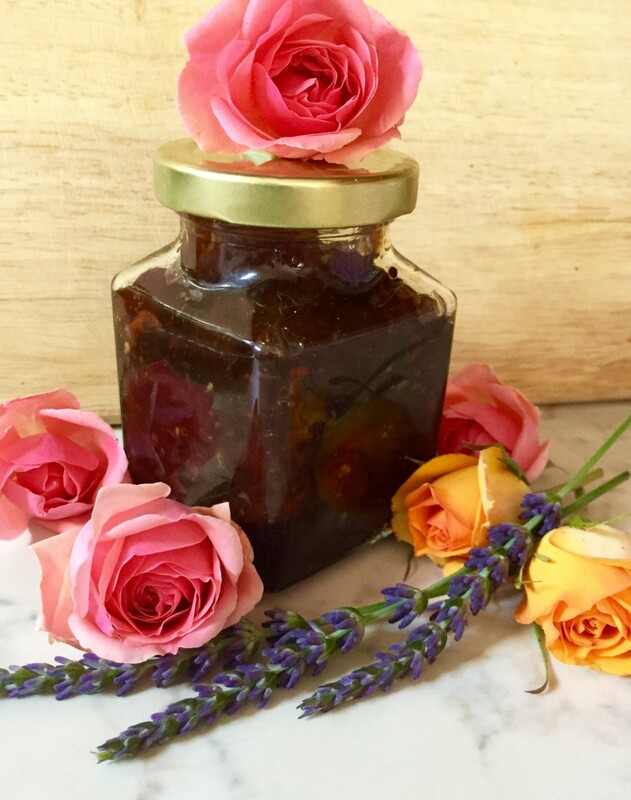 Here’s mine too: Rose Petal And Orange Jam It is surprisingly easy to make this. Great way to recycle all those jam jars too. These are a lot easier to make than you think. Everyone likes a relaxing bath with some lovely smelling stuff that gives a bit of a fizz. 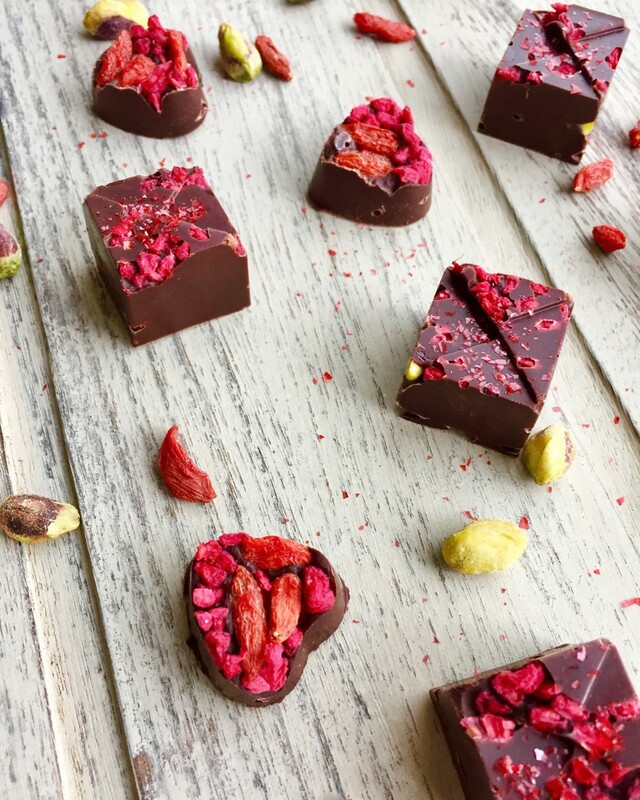 You can look up countless of recipes online, but all you really need is a mould, some basic ingredients like baking soda, cornstarch, food colouring and your favourite essential oils. You can even match the colour of the bath bombs to your wedding theme! There are two different ways to do this. The first is by recycling used wrapping paper or tissue paper. You just grab a paper puncher and dedicate a few evening to paper punching whilst watching your favourite show on telly. Or, you can use dried flower petals. 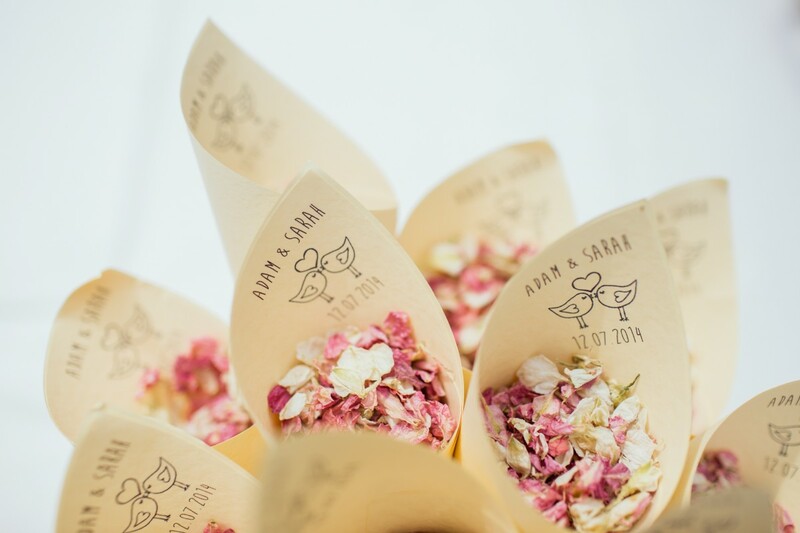 You can fill little paper bags or paper cones with them and personalise them.